A ‘Blue Marble’ image of the Earth taken from the VIIRS instrument aboard NASA’s Earth-observing satellite – Suomi NPP. This composite image uses a number of swaths of the Earth’s surface taken on January 4, 2012. The satellite is the first of a new generation of satellites that will observe many facets of our changing Earth. NASA’s role in studying and protecting our home planet has never been stronger. Climate change is a problem we must deal with right now, and our Earth science satellite missions have become ever more vital to documenting and understanding our home planet, predicting the ramifications of this change, and sharing information across the globe for everyone’s benefit. Today, the Third U.S. National Climate Assessment was released. The report is the most authoritative and comprehensive source of scientific information ever generated about climate-change impacts on all major regions of the United States and critical sectors of society and the national economy. It presents an influential body of practical, useable knowledge that decision-makers will use to anticipate and prepare for the impacts of climate change. The assessment reports on a broad range of topics that illuminate the interconnectedness of everything tied to climate. The focused approaches used to conduct the analyses in this report will help us build the capability to do better and more regular climate assessments in the future. I am proud that NASA data and NASA scientists contributed to the research reported in many of the Assessment’s chapters. We can already see the impacts of climate change around the world, especially through the lens of our satellites. The U.S. National Climate Assessment combined observations from NASA’s incredible fleet of Earth observation satellites with surface-based and satellite data from our interagency and international partners, to help us understand what’s going on globally in areas such as polar ice, precipitation extremes, temperature change, sea level rise and forest ecosystems. 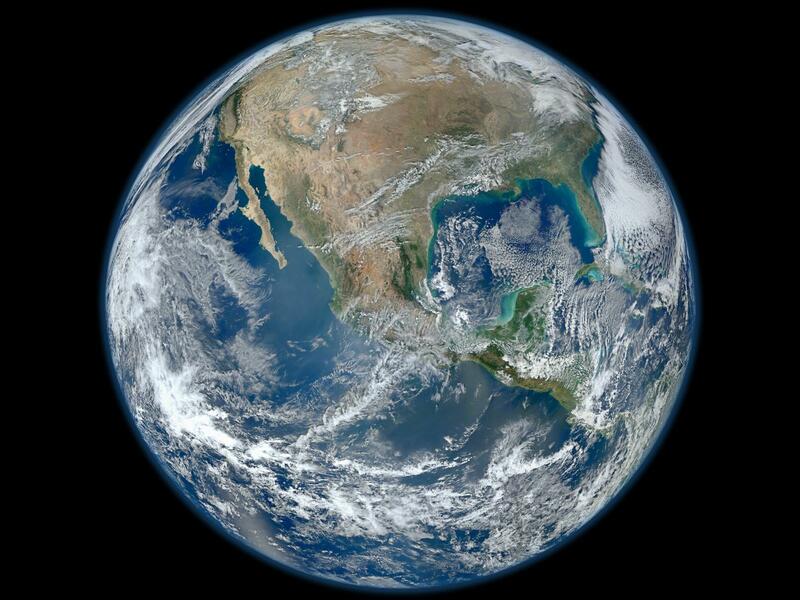 Five NASA Earth Science missions will be launched into space in 2014 alone. Together with NASA’s existing fleet of satellites, airborne missions, researchers, and the unique platform of the International Space Station (ISS), these new missions will help answer some of the critical challenges facing our planet today and in the future. The Global Precipitation Measurement core observatory launched in February is already helping us learn more about rainfall patterns worldwide. The Orbiting Carbon Observatory (OCO-2), slated for a July launch, will map the greenhouse gas globally, providing new insights into where and how it moves into and out of the atmosphere. The RapidScat instrument to measure wind speed and direction over the oceans, and the CATS lidar instrument to measure aerosols and cloud properties will be installed on the ISS. The Soil Moisture Active Passive (SMAP) mission will launch in November, to measure soil moisture over the globe and freeze-thaw timing. All of the data NASA collects is widely disseminated and helps many people to make wise decisions about how we care for our planet, as well as predict and cope with changes in climate and extreme weather events. The National Climate Assessment is an example of how critical the NASA data and research are. Please take some time to review this important document at: www.globalchange.gov.